Let's build a web page! Remember how we discussed semantic HTML? 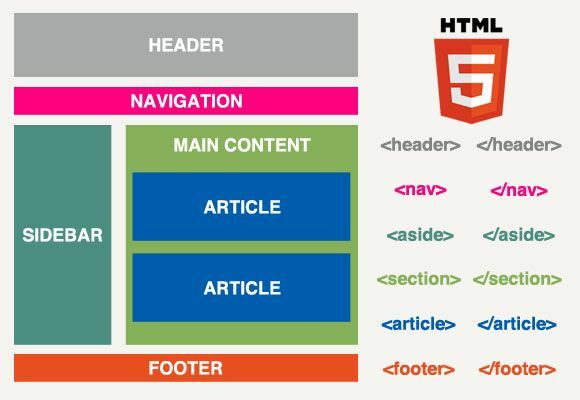 Well in modern day HTML, there are a number of elements that help to semantically structure and lay out the content on your website. Lets begin with looking at the graphic below. Not all of these elements have to be used. Using these tags will not automatically layout your page as shown in the previous image. They simply help to describe what the content is on your website. Browsers render them all the same as a <div> element.